The U.S. government this week approved the nation's first offshore wind project. It took nine years. Will similar projects crop up in California? 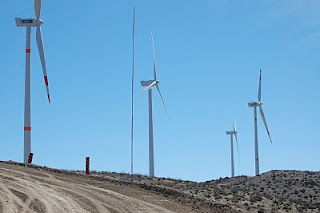 "There’s a substantial wind resource offshore of CA, fantastic wind resource," says Mike Allman, CEO of Sempra Generation, "but it’s never going to be built, it’s too sensitive. It’s a gorgeous area and people don’t want their view profile changed. The wind is strong offshore, in many cases, and you can put larger turbines offshore. But you need a lot of support to get that done." 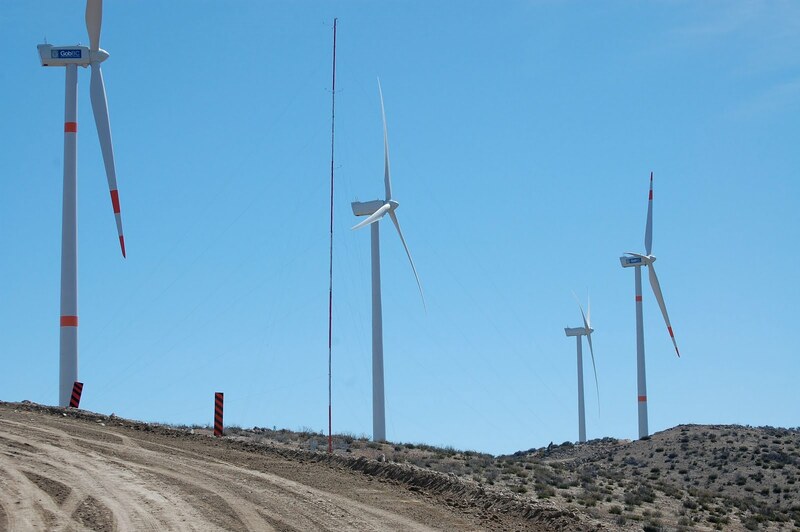 So Sempra is looking high and low for windy sites onshore, including across the border in Baja California. Listen to my piece for PRI's The World. Take a gander at the Sierra Juarez. Learn more about offshore wind in Nantucket Sound. Noodle around on this blog and you'll see there's a lot devoted to lovely spots to hike and learn about nature. 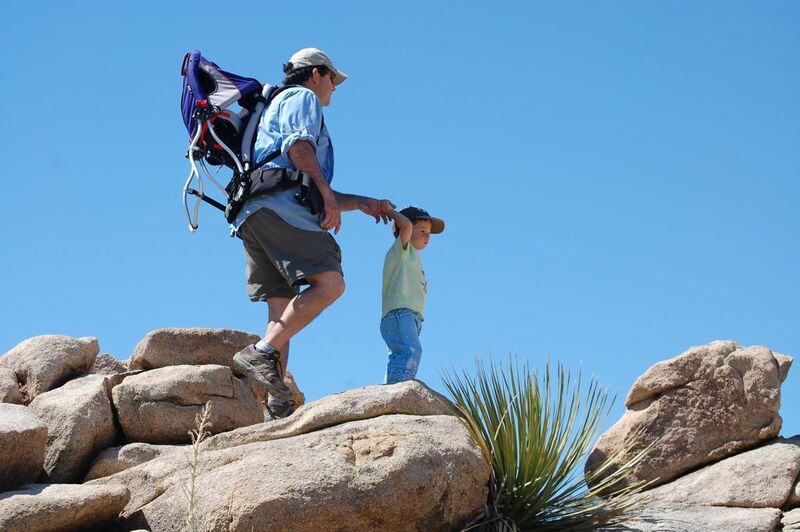 Arcadia Wilderness Park is certainly a learning experience. But it's the kind of hard lesson I'd like to be spared. It's one of the most depressing places I've been. 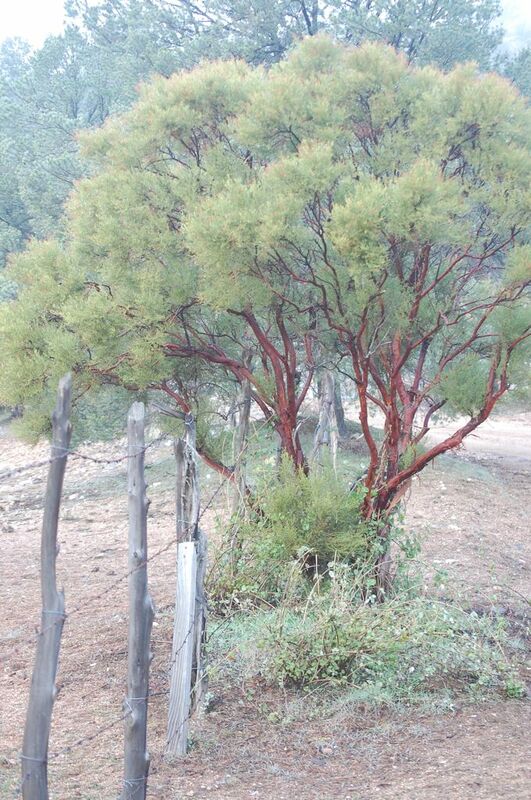 As you can see above, aggressive weeds called invasive plants don't respect fences. 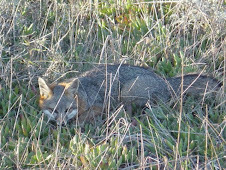 They escape gardens and hightail it into wilderness areas. 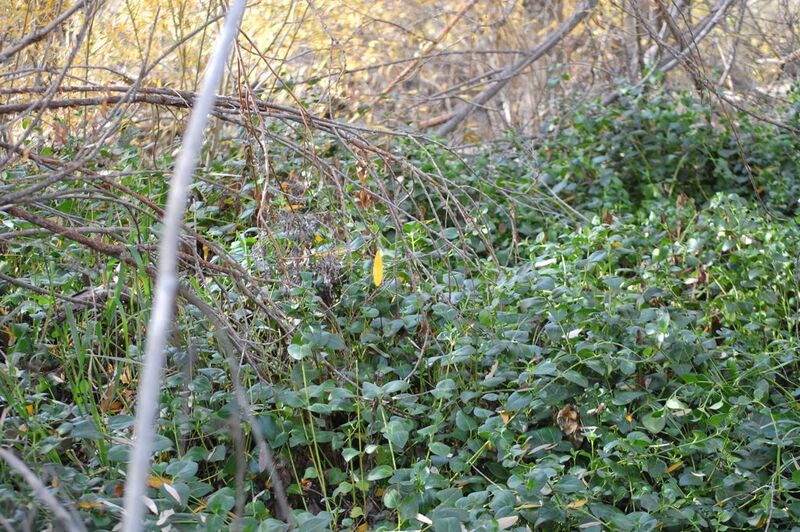 The city of Arcadia has done little to nothing to control the weeds in its park and now they threaten the adjacent Angeles National Forest. Castor bean and fountain grass have already jumped the fence. Fountain grass is crazy-bad. Below you can see it's growing out of every crack in a stairway and a slope that's been hardscaped. It also blankets a couple acres adjacent to this stairway. And the plant has also taken root in a creek running through the park. Click over to my weeds series to learn more about fountain grass. Ah, isn't that a pretty sight? 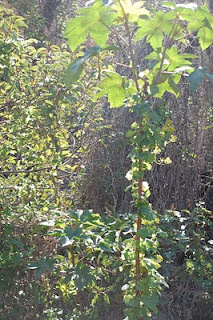 The kiss of light on--just kidding, this is one weed duking it out with another. Bad boy cape ivy trying to strangle His Nastiness, castor bean. Above Drew Ready of the Los Angeles and San Gabriel Rivers Watershed Council cranes to see the crown of a mature elderberry, smothered by cape ivy. "This area is pretty much a dead zone," he said. "If you listen and look around, you hear no wildlife--there's no songbirds; you see no lizards. There are probably rats." 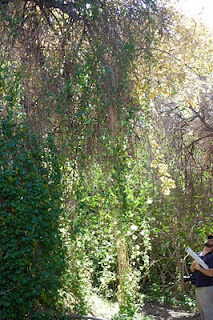 At Arcadia Park ivy's got strangle-hold at least one sycamore (above & below) as well, and is making a run for some gorgeous live oaks. 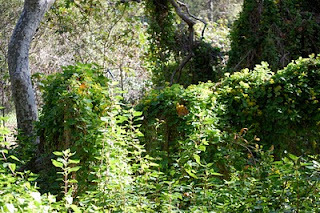 "The ivy over the years has covered the [oak] seedlings, so there's no regeneration going on in this understory," Ready said. "If this oak goes, there's a good chance there won't be one to replace it." If you missed my five-part series on garden plants that threaten wildlands, check out the first three installments below (with links to the full story on the LA Times website). Periwinkle (Vinca major) hails from the Mediterranean. Let loose in parts of Southern California, it smothers virtually all of the wildlife-supporting native plants in its path. California is home to many indigenous plants found nowhere else on Earth. Many are at risk of extinction. 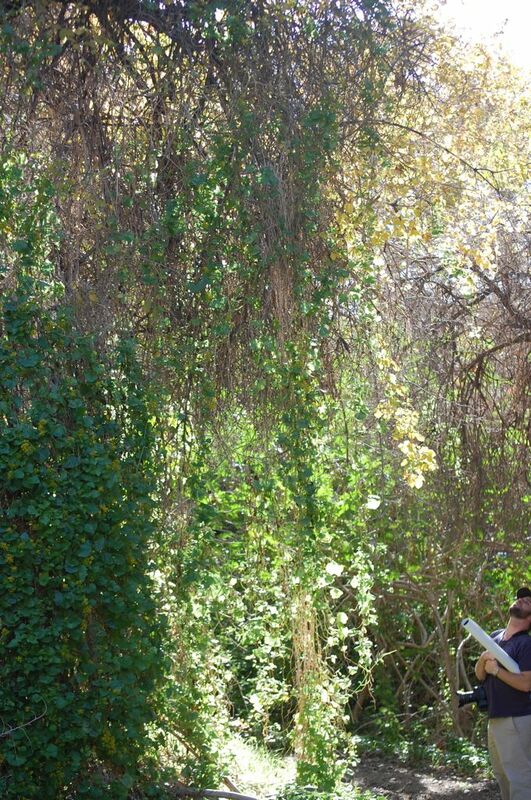 The main culprit is urbanization, but weedy exotic plants — even some that residents buy for their gardens — often share the blame. Able to rough it in the wild, runaway plants can throw entire ecosystems out of balance. When many of us think of Los Angeles, there’s a palm in the picture. That palm is likelyWashingtonia robusta, the Mexican fan palm. 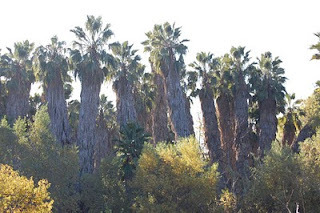 Mexican fans are the remarkably tall (up to 100 feet), skinny palms with fan-shaped fronds that have towered over much of the city’s built environment for more than a century. More conspicuous than stars in L.A.’s washed-out night sky, some palm constellations have even been dubbed historic-cultural monuments. Although other palms have sneaked into the scene, Nicholas Staddon, director of new plants for Monrovia Growers, says Mexican fans are still popular and “very valuable — it’s fast-growing and has a wonderful tropical look.” No primadonna, aptly named robusta thrives in a couple square feet of dirt amid a sea of concrete, even roots in sidewalk cracks. But the region’s palmy past is seeding trouble. Click over to read the rest of my LA Times story. 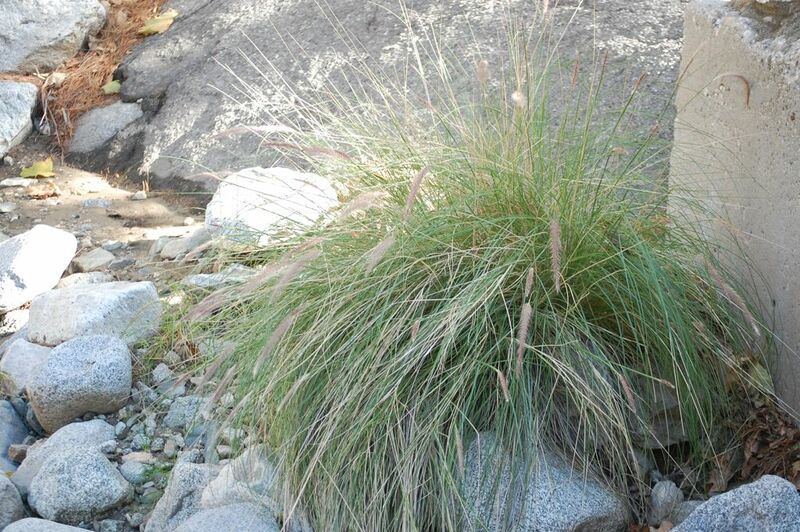 Grasses are among California’s most prolific weeds. Exotic bromes and other annual grasses now carpet millions of acres, displacing of native wildflowers, bunch grasses and shrubs. Most arrived with 19th century settlers and livestock (as contaminants in feed or lodged in animals’ coats, for example). But in recent years, ornamental grasses have joined the fray. What is it about boys and rocks? A place with rocks, sticks and bugs is a wonderland for boys small and large. All abound at Joshua Tree National Park. Especially rocks. Thanks to our friends at Ramshackle Solid for planning this outing. It was at times--groan alert--rocky but thoroughly satisfying. The drag came the next day as we packed it all up again and relocated to Jumbo Rocks campground in the park. This is a great site for kids over 5 years old. After chasing my 3-year-old around the tops of boulders, I'm ambivalent about it for younger kids. 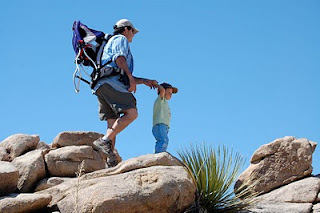 The granite is wonderfully sticky, but it won't stop a kid from taking a nasty fall. The site is especially challenging when there are older kids around who are allowed to climb higher. Still, my son and his toddler friend seemed more likely to die at each other's grungy hands than on any granite ascent and fall. They fought incessantly--with fists, sticks, stones and gravel. The primal struggle replayed at night as my son cried out "it's MINE!" in his sleep. Fortunately, the worst was over in a day. 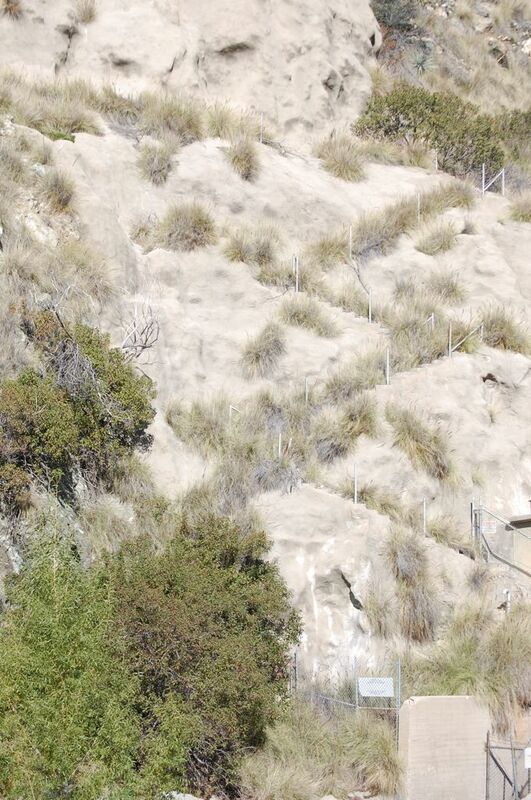 In addition to the big rocks, the abundance of short, flat trails make J-Tree a great spot for kids. We hiked from Jumbo Rocks to Skull Rock, as well as around Hidden Valley, to Arch Rock and into wash near the Cottonwood oasis. 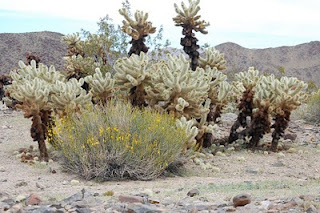 Don't miss the very short Cactus Garden trail with its gorgeous cholla (pictured above). My son hiked nearly all of the 1 mile Hidden Valley loop and was rewarded with a park pin for his cap. The presence of an older boy spurred him on. And I called it quits after this hike, so he'd be eager for the next day. For those who don't know, the park is comprised of both Mojave (high) desert and Colorado (low) desert. Joshua tree, desert dandelion, desert paint brush, calico cactus, apricot mallow, desert rock-pea, bladder pod, indigo bush and Encelia farinosa were among the plants blooming in the Mojave. In the Colorado desert (also called Sonoran), I was thrilled to see blooming cholla, ocotillo, desert monkey flower, desert senna, desert poppy, the teeny Wallace's woolly daisy (Eriophyllum wallacei), beavertail cactus, prince's plume, Arizona lupine, desert canterbury bells, and more. 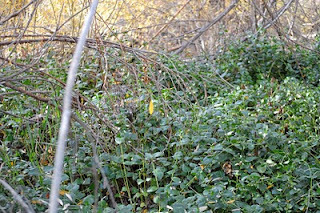 Most of these plants are easily identifiable with a little assist from books you can buy at one of the visitor centers. At Jumbo Rocks we were treated to a good look at Western tent caterpillars (pictured in slide show). And we happened upon a couple of chuckwalla in a wash near the Cottonwood oasis. My big disappointment: no jackrabbits. I love, love these big bunnies. We spent our last two nights at the fab 29 Palms Inn, which lines part of the Oasis of Mara. 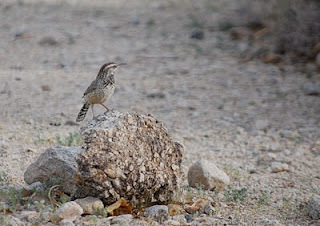 It's a great spot for an easy look at wildlife, including cactus wren (above), quail, and lots of cottontail bunnies. The pool is popular with the underaged, and the restaurant and bar with the overaged. If you stay over the weekend, don't miss a grounds tour with naturalist Pat. The Inn also supplies delicious sack lunches. More on this trip from Ramshackle Solid.